I love a subtle daytime smoky eye - dark enough to give some dimension but not enough to seem out of place in my corporate work environment. 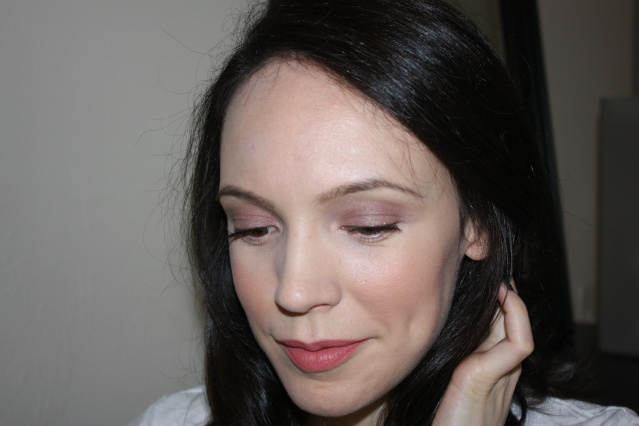 Years ago, when I worked in the cosmetics business a daytime smoky eye would look a lot different, especially during my years with MAC and YSL. During that time I would line underneath the eyes, maybe even rim the inner water line and build the lid and crease up to be quite intense. But times have changed and in my current work place, I need a more subtle look but one that I still can have fun with. 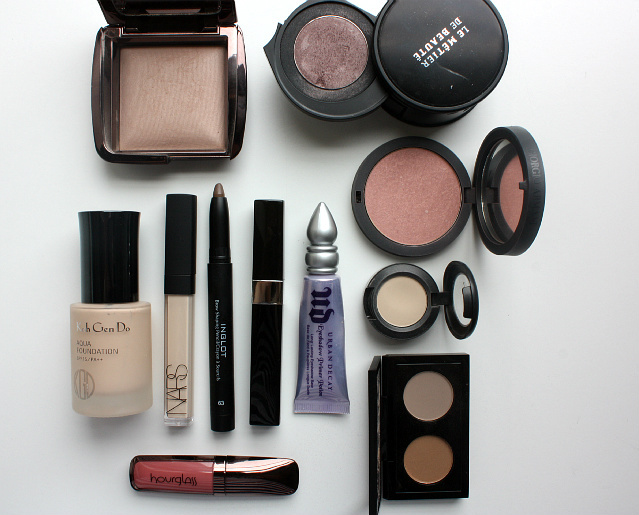 This is one of my favorite day time smoky eye looks because it is so easy to do, yes, even with ALL THOSE products. I start off with my Koh Gen Do Aqua Foundation (c/o), which gives a flawless finish with buildable coverage (and is now reformulated and better than ever! ), and follow it with a few dabs of the NARS Radiant Creamy Concealer under my eyes to erase any darkness. Next my brows are filled in using the new Inglot Brow Shaping Pencil (c/o), which surprisingly is beginning to rival my Hourglass Brow Sculpting Pencil. The color is medium toned with just the hint of gray which is perfect for my dark hair, and the texture is waxy which helps groom the hairs and hold them in place throughout the day. 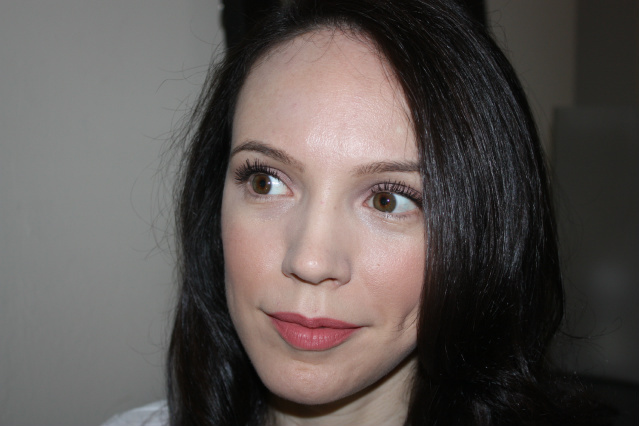 The foundation dries to a natural matte finish, so no loose powder is needed, just a dusting of the Hourglass Ambient Lighting Powder in Dim Light on my cheeks and hair line. It is hard to see the effect it has in pictures, but in person this particular color warms up my face and gives me a great glow. As you all know after my recent post, my love for Le Metier eye palettes knows no boundaries, and this particular one in Chauvet pont d' Arc (c/o) is stunning. 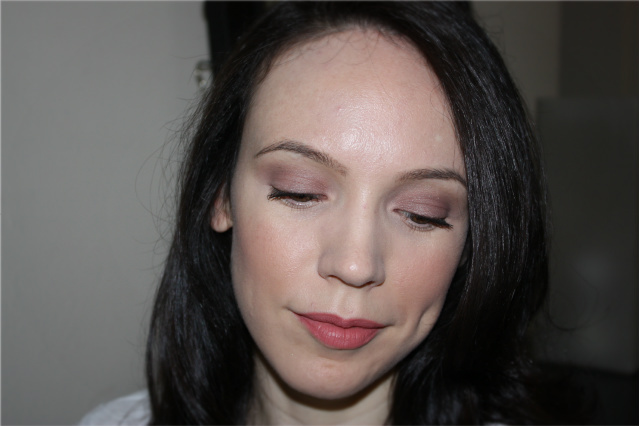 I used the brown shade shown above all over the lid up to the crease, after priming with the Urban Decay Primer Potion. I take a light gray/brown shade, such as this one from the MAC brow duo in Blonde, through my crease. Often to help blend even further, I will take a pale matte shade, here in MAC Llama and use it under my brow bone with a large fluffy brush to give a slight highlight and blend my crease further. A few coats of Chanel Inimitable in black finishes the eye look. Cheeks and lips are easy with a few swirls of Armani's Sheer Blush in shade 10, an easy peachy/pink neutral, and a swipe of Hourglass' Opaque Rouge Liquid Lipstick in Canvas. This Hourglass lip has been on my favorites list numerous times due to its texture, finish and ability to wear FOREVER. The overall look has a polished feel but is suitable for so many occasions both day and night. I would love to see what your favorite daytime smoky eye looks like - tweet me a pic @alittlebitetc or tag me on Instagram @alittlebitetc so I can see your finished look!